Paris, France – Royal Philips (NYSE: PHG, AEX: PHIA) today announced it has installed Luminous Carpets™ - an innovative combination of LED lighting and carpet technology - by Philips and Desso at Le Village in Paris. The latter is a new center for innovative start-ups that is an initiative of the French bank Crédit Agricole. 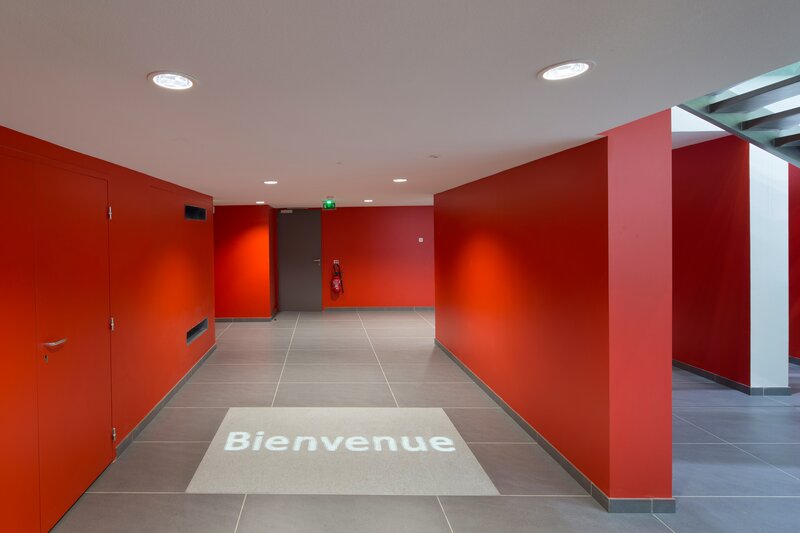 In the entrance hall, Philips installed a 1.20 m x 2.00 m LED carpet border, on which text and logos glide dynamically over the floor. Each message is fine-tuned to the visitors and/or linked to their brand. Thanks to its own central web server with special Luminous Carpets™ software, the content is simple to control from a laptop, tablet or smartphone. 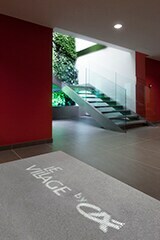 Le Village, is a Center for innovative start-ups that is an initiative of the Crédit Agricole. Where ‘innovation’ is the connecting theme behind the ambitions of Le Village, ‘hospitality’ is the means by which the objective will be achieved. With 4,500 m2 of floor space, Le Village offers visitors and residents a pleasant atmosphere for hosting any type of gathering, whether it be a formal business meeting or a more casual get together. 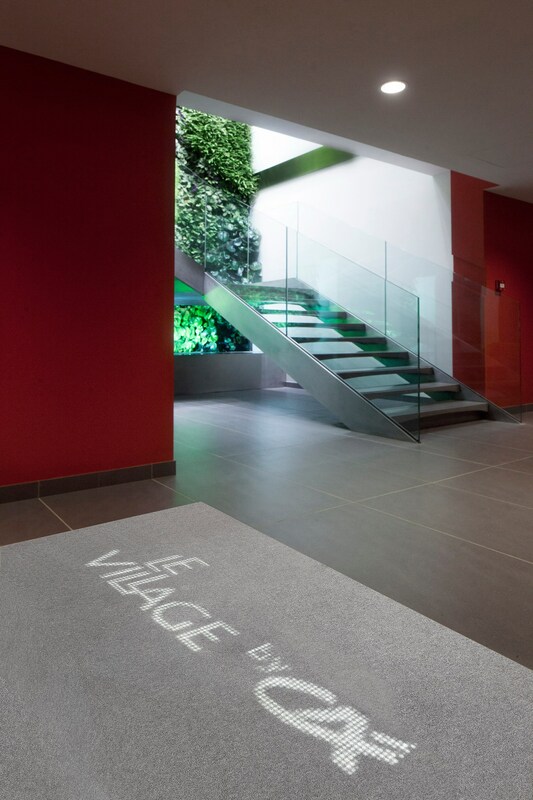 From a VIP lounge on the 8th floor to a conference room in the cellar in addition to meeting rooms and an auditorium, Le Village has everything needed to inspire creativity and encourage success. There is also a central meeting space where both visitors and residents can meet and exchange knowledge. In short, Le Village has been completely designed to welcome and motivate all types of start-up businesses.